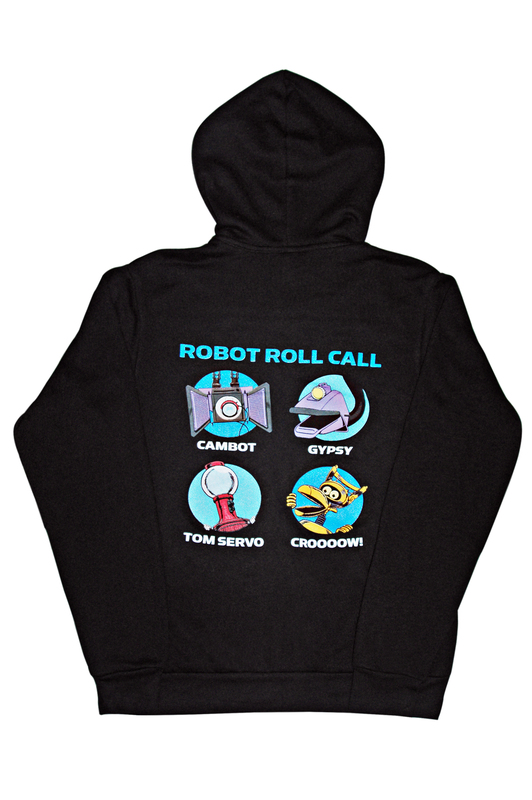 Cambot... Hoodie... Tom Servo... Croooooow... Wait, what was that second one? 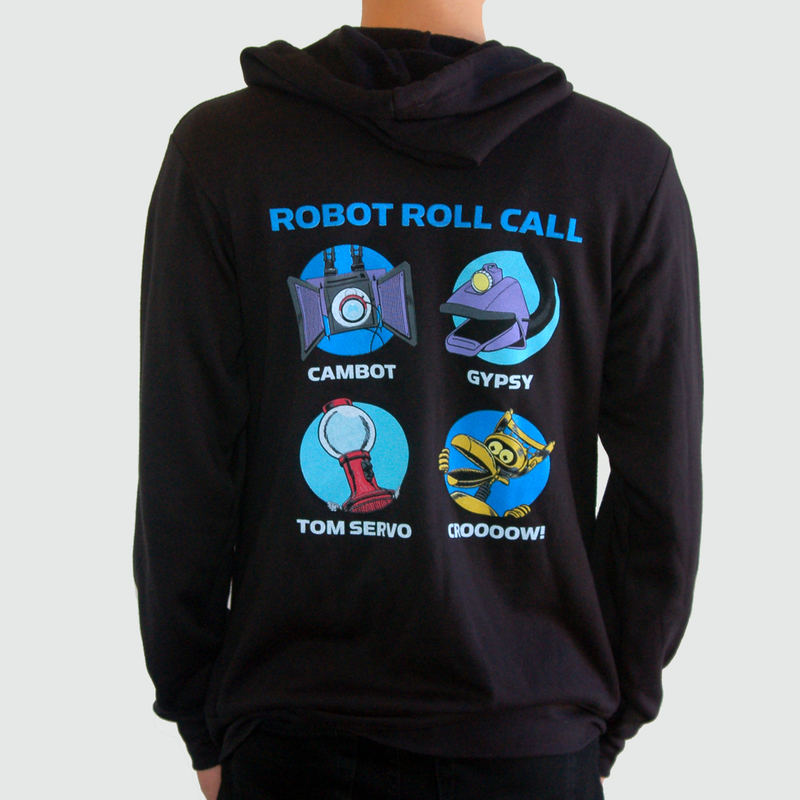 Keep your favorite bots close by and your head suitably warm with this Robot Roll Call hoodie! 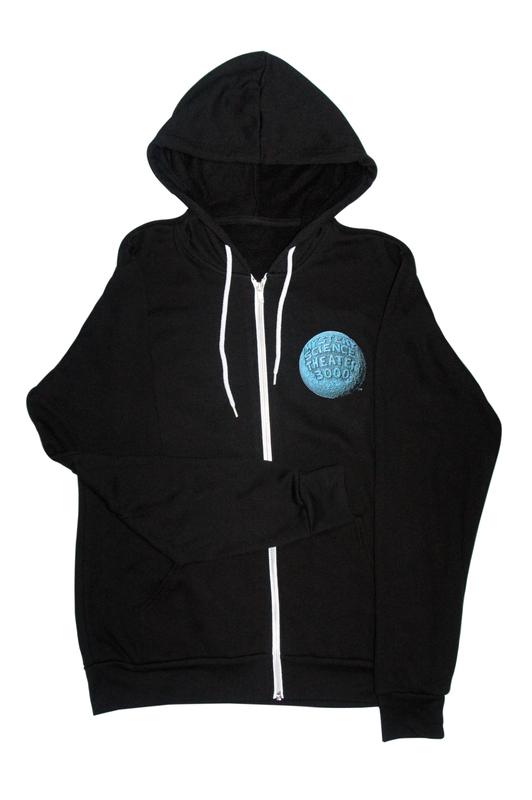 It proudly displays the moon logo in the front, in case any non-MSTies ask you what show those lovable bots are from.